This article explains how we can use a couple of undocumented functions in Matlab GUI, and what we can learn from this about Matlab’s future. FIG files are actually MAT files in disguise. 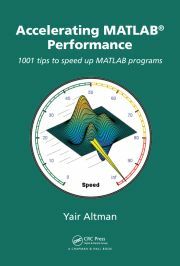 This article explains how this can be useful in Matlab applications. Arash Marashian (12 days 7 hours ago): Problem Solved. I found out that my version does not have this icon. thanks. Marshall (13 days 10 hours ago): This was a fun puzzle–don’t hesitate to add more posts like these if you come across some other fun ones! Reza (13 days 16 hours ago): I have the same problem. this Java widget got error in compiling via Matlab 2018! Could you please show me how to solve this? GGa (15 days 10 hours ago): There isn’t anything “outside the UTF-8 range”. UTF-8 can represent any Unicode character, as far as I know.